The best kind of conservation is collaboration. No single organization can accomplish wildlife conservation all on its own. Natureland works with our conservation partners to achieve valuable biodiversity outcomes. Natureland's expertise in animal care of individual animals, and detail oriented observations and research, makes our skilled staff experts at monitoring and protecting wildlife. Together with our partners, we work together to bring the wild to Nelson. Every visit to Natureland supports our conservation outcomes and allows us to share our vision with you. We are very proud to breed yellow crown kakariki and South Island Kaka in collaboration with Project Janszoon. Project Janszoon is working to restore Abel Tasman National Park. You can observe our experts at work monitoring behaviour, breeding, and health of our special parrots onsite at the zoo daily. We also assist with pre-release and post-release monitoring of the birds. Natureland Wildlife Trust is part of the Nelson Biodiversity Forum, which helps to support Nelson Nature, the city council's programme to bring the wild into Nelson. Natureland contributes to the forum, and helps support with advocacy, husbandry advice, and participation in events and projects. Battle for the Banded Rail began in Tasman District, working to protect the habitat of this secretive and elusive wading bird under threat from predation. Their success has seen banded rail habitat expand towards the Nelson District. When it came time to expand Battle for the Banded Rail into Nelson, Natureland was keen to join the effort. We installed, maintain, and monitor 3 kilometers of trapline along the Nelson Great Taste Trail south of Monaco towards Saxton Oval. We are proud to contribute to conservation of an endangered species right at Natureland's doorstep. We celebrate the cultural heritage, conservation, and kaitiaki of Ngati Koata. We have a special partnership around the tuatara, a special taonga to Ngati Koata. From Ngati Koata we can learn more about our connections with nature and why the preservation of tuatara is about cultural and biological conservation. Kea are one of the most iconic, rare, and intelligent birds in New Zealand. The top of the South, around Nelson Lakes National Park, Kahurangi National Park, and even areas of the Richmond Ranges are all essential habitats for these endangered parrots. Natureland is committed to championing the kea in the top of the South Island, and that means partnering with the Kea Conservation Trust. Together we have worked on education, advocacy, research, and field work. We have collaborated with local forestry companies on appreciating the inquisitive nature of the birds and acting as their protectors. We also have supported nest monitoring in the region's protected areas, and testing predator traps for kea safety. Our Walk Through Kea Aviary is a great place for you to learn more about how Nelson Forests Limited, Kea Conservation Trust, and Natureland are working together to save kea. Natureland Wildlife Trust's vision is to be a community based conservation organization. 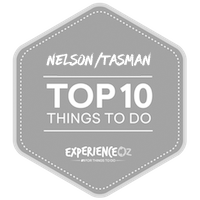 We wish for the public to see our space as a place they can come to learn about wildlife, about the ecosystems found in the Nelson-Tasman region, and to experience conservation for themselves. We hope that our space can be a platform for not only for our work, but also to share with you stories about the work that other people and groups are also doing to save wildlife.